We recommend Xero to our clients as an easy and flexible online accounting solution in the cloud. Our clients love it. All their important facts and figures are available to view in real time. The bank feeds are awesome, typically halves the time spent on data entry at least. The notes and expected date feature on the sales ledger makes credit control a doddle. Customisable reporting and great at a glance dashboards and management information. This is your dashboard, where you can see all important information quickly for example how much money you have coming into the business. Everything that is blue you can click on to find out more information. Once you have set your bank account up in Xero your bank feed is easily updated and will appear clearly, so you can see all transactions. 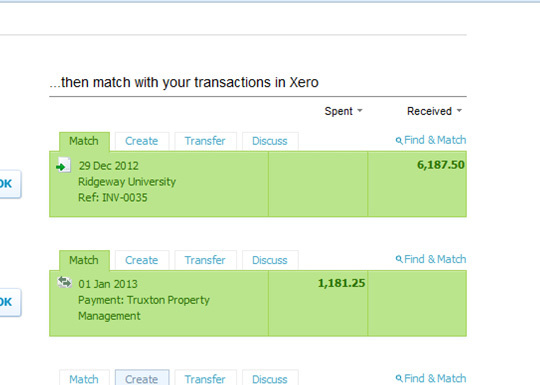 Once you have in-putted purchase and sales invoices Xero will try to match the invoice to a bank transaction. If you know what the transaction is but do not have an invoice you can create a simple one on the bank feed. You can transfer the transaction to another bank account within Xero. You can make notes on transactions with any important information. You can add any information about a sales invoice in the expected date column it will allow you to make notes. Therefore if you have a 30 day payment agreement you can look to see who has paid and who hasn’t so it’s easy to chase them up you can then add a note onto the expected date to say that you have chased this person for the money etc. 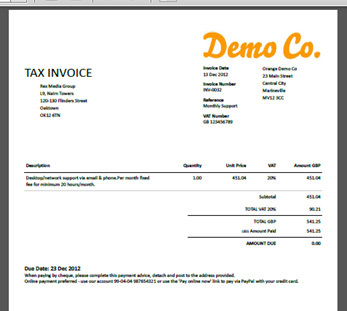 Personalise your sales invoices by putting your company logo on, your address, phone number etc. Once set up it will appear on all created invoices. It really could not be easier and it does not stop there. Why not try it out for yourself now! 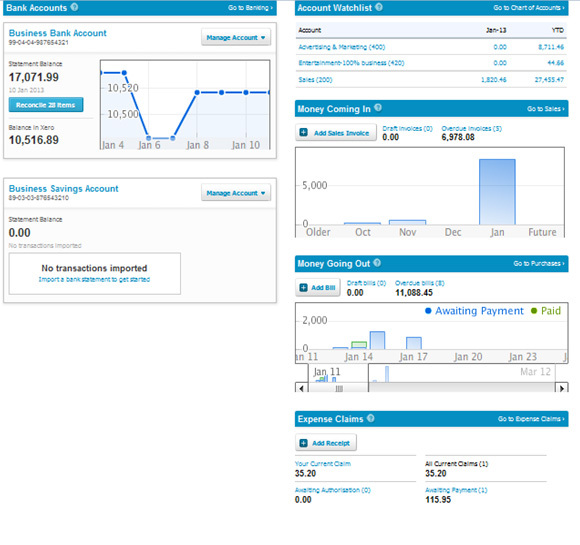 Xero online accounting amazing discount! Get a permanent 10% discount on your Xero subscription. Existing customers only. Xero subscription 10% discount ! Get a permanent 10% discount on your Xero subscription.Sign up using the form below. Existing customers only.